Categories: Acne Treatment, Skincare, Gifts, Facial Cleansers. -A daily acne treatment made of non-toxic & 100% vegetarian ingredients. -Contains activated white charcoal from oak tree, AHA’s from sugar cane and natural fruit enzymes to help remove acne & scars. -Excellent to exfoliate acne scars & impure skin. -Assists to reduce the appearance of age spots, fine lines & irregular pigmentation. -NO BENZOYL PEROXIDE, PARABENS, SULFATES, PHTHALATES, MIT, CMIT, COLORANTS, FRAGRANCES OR HARMFUL CHEMICALS. 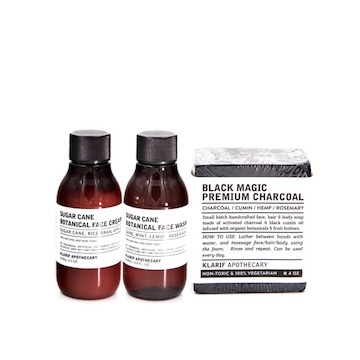 – Use black magic charcoal soap (double or triple cleansing recommended). – Followed by the sugar cane face wash to cleanse & moisturize the skin. – Apply the sugar cane face cream (use it only at night time) before bed for maximum results. – Highly recommend to apply sunblock during day time. – Sugar cane wash & cream contain an alpha hydroxy acid (AHA) that may increase your skin’s sensitivity to the sun and particularly the possibility of sunburn. – Use a sunscreen, wear protective clothing and limit sun exposure while using the sugar cane wash & cream. This set cleared up my skin so much – I have not had a breakout in months since I started using it, my scars have reduced and my skin is amazing! I’m so glad I decided to give it a try! Honestly, people out there need to know about this. Not Proactive nor Nutrogena or Oxy cleared up my skin like this wonderful duo. Other acne treatments would leave my skin irritated, and super sensitive to the sun where it would peel my skin. But not this duo, my skin glows, my pores have minimized so much that i don’t even wear make-up just so everyone can ask me how is my skin so amazing. It’s that big of an impact this duo has done for me, thanks Klarif THANK YOU THANK YOU THANK YOU!!!! I found this brand through beauty blogger @naye0na, and recently switched to non toxic skincare but have not been able to find anything that cleared my skin and left it feeling moisturized. I was using Acure fash washed that were giving me dryness and my acne was consistently getting worse. I’ve only used this for a few days so far but I am blown away by these products. I had one large cystic pimple when I first started using these products and it basically disappeared overnight. I have not gotten any new spots since I started using these products. They leave your face feeling super clean, but the sugar cane cream is amazing at moisturizing and will leave your skin feeling hydrated but not oily. My son, 17 yrs, has pimples and acne scars since he was 15 and so I bought Proactiv and even took him to a dermatologist in orange county who prescribed accutane. Nothing ever worked. Since I found the klarif 3 monsters in a store in main place mall near by, it has cleared up my son’s huge problems, acne & scars. So loving it. Thank you klarif. I absolutely love these products! I have quite oily skin and always have issues with face soaps drying my skin too much. 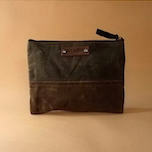 I had been looking for a new skin care line to use and thats when I came across this great store. 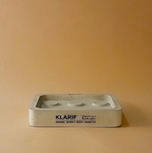 I met Klarif and he guided me to use the Black Magic Charcoal Soap and have not used anything else since then! It has put the oil in my skin under control and I rarely if ever break out anymore. I also use the White Charcoal Face Mask which leaves my skin feeling extra radiant and greatly reduces blackheads and pores. The best part is that its all natural and ethically sourced. The customer service has been some of the greatest that I have received! Absolutely recommend this store not only for the products but for the level of attention and care that Klarif pays to all the customers that come through the door. Can’t wait to try the rest of their products! Original Father's Recipe Black Magic Charcoal Soap: Best for acne prone skin. A supercharged facial cream, packed with most potent antioxidant on earth.